During the Depression, Jimmy Gralton returns home to Ireland after ten years of exile in America. Seeing the levels of poverty and oppression, the activist in him reawakens and he looks to re-open the dance hall that led to his deportation. 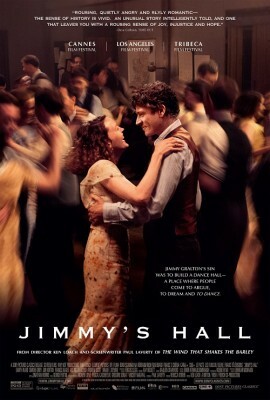 In 1921 Jimmy Gralton’s sin was to build a dance hall on a rural crossroads in an Ireland on the brink of Civil War. The Pearse-Connolly Hall was a place where young people could come to learn, to argue, to dream…but above all to dance and have fun. As the hall grew in popularity its socialist and free-spirited reputation brought it to the attention of the church and politicians who forced Jimmy to flee and the hall to close.